Hyderabad, Mar 03: According to official sources, there was an alleged showdown between the Telangana police and Andhra Pradesh police departments over this weekend. 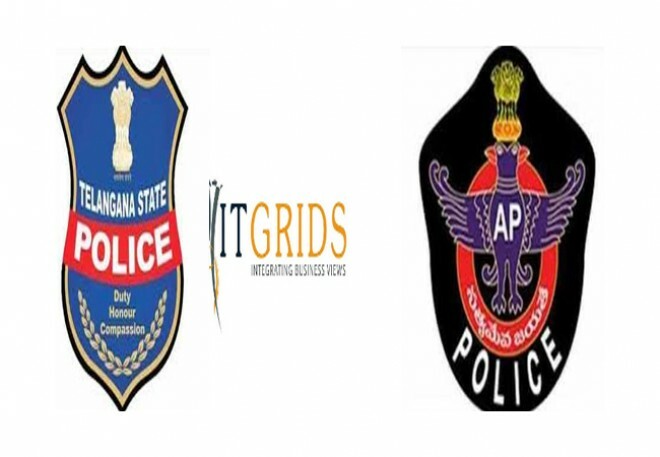 Based on a complaint by Hyderabad-based data analyst Lokeshwar Reddy, the Cyberabad police filed an FIR against IT Grid Company. The complaint was filed accusing the IT company of data theft and subsequent deletion of voters from the electoral roll in Andhra Pradesh. The complainant reportedly accused the TDP and IT Grid Pvt Ltd of stealing the data of about 3.5 crore people of Andhra Pradesh who are the beneficiaries of welfare schemes in AP. Four employees of IT Grid were taken into custody on Saturday night by the Cyberabad police, including the main suspect Bhaskar. However, these turn of events apparently led to a high tension drama at complainant Lokeshwar Reddy's residence in Kukatpally. The AP police allegedly tried to enter Lokeshwar's residence and take him into custody. The Telangana police took quick action and rushed to the location, in a bid to obstruct the AP police. The AP police reportedly left the premises only after the due intervention of the Telangana police. The TDP leaders, on the other hand, accused the TRS government of colluding with the YSRCP and prompting Telangana police to take action against the IT company. Currently, Cyberabad Police Commissioner V C Sajjanar is said to be conducting a review meeting on the IT Grid Company issue. A Habeas corpus petition has also been filed in the High court by one of the employees of IT Grid, alleging that his colleague Bhaskar and three others were missing since Saturday.